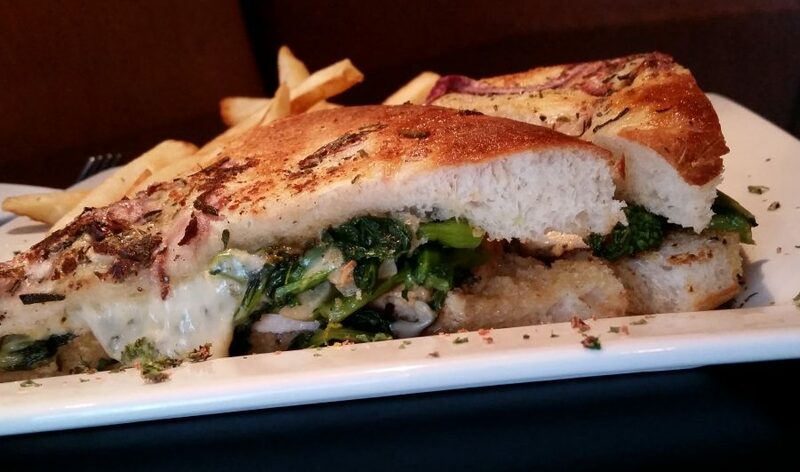 Grilled chicken is delicious, but when you mix it with broccoli rabe and drench it in provolone cheese, you barely even notice that the restaurant slipped mushrooms in there on you. And baked into the bread? Red onions. That’s two strikes against, if you ask this picky food-lover, and yet… I’m okay with it. Yes, it may have been trickery, but it guided me down the path of trying new things. Sometimes life and sandwiches introduce you to a new path– you can resist and fight it, but you should probably give it a shot.